Udon Thani is the capital of Udon Thani Province that is filled with contrasting beauty and wonders. About 550 kilometers from Bangkok City, this city prides itself for being a regional hub for agriculture, tourism, shopping, and commercial distribution. It is filled with modern structures and amenities that offer luxury and comfort to both locals and tourists looking for some pleasure and adventure. On the other hand, its rich culture and history is reflected on its heritage sites that have been carefully preserved. Take time to explore its local villages by hiring a bicycle. You can also opt to have a tuk-tuk journey, if you have never tried it before so you can discover the charm of the Thai village life. If you do not know which places to visit first, here are some highly recommended heritage sites to start on with. Ban Chiang is an archaeological site in the Khorat plateau of northeast Thailand, about 25 minutes’ drive from Rice paddy Villa. Considered as the most significant prehistoric settlement in Southeast Asia, it was listed as a UNESCO World Heritage Site in 1992. Here you can find the earliest proofs of farming, manufacturing, and use of metals. Visit its museum that displays an impressive collection of artifacts, antiques, and prehistoric tools and utensils. See the iconic earthenware pots that are about 4,000 to 7,000 years old. These are considered as the oldest decorative pots in the world. Explore the site so you can marvel at the rare findings here that give invaluable information about human cultural, social and technological evolution. If you want hand crafted reproductions of things here so you can take back home, just visit the village so you can purchase some at a reasonable price. The historical park of Phu Phra Bat is tucked away in Ban Phue District, northeast of Udon Thani City. It is an hour drive from the city but you would not regret making the trip. You would love to spend a day in this serene nature reserve, away from all the hustle and bustles of the city. Situated high on a mesa, it is like being in another place and time as you are surrounded by ancient structures and man-made creations. Aside from the fascinating relics you would find here – that reflect the Dvaravati, Lop Buri, & Lanchang styles – you would not get enough of the rock formations here that have strange shapes as well as the prehistoric rock paintings and sandstone shelters built by ancient man. Bring out your camera and take as many shots as you can of the prehistoric buildings and natural formations that have so many stories to tell. 4. The food. If you enjoyed Thai food at a local Thai diner near you, imagine what authentic Thai food can do to your taste buds while you are in Thailand. Everything is simple here; no 800 numbers for business establishments, no fancy advertisements. Walk into the first Thai food stall you find and it’s guaranteed to be a food-inspired, orgasmic experience that one would certainly not forget when traveling in this part of the world. Udon Thailand is a province in the country of Thailand located in the north-eastern portion of the vast Thai flood plain close to the Mekong River. It has a total area of 4500 square miles and ranks as the 11th largest province in Thailand. It is also home to 1.5 million Thai and is the 8th most populated province in the country although overall it only ranks as the 32nd densest province in the country. The capital of the province is the city of Udon Thani and is reachable by a variety of public transportation options include a rail line that passes through Saraburi and the border of Laos before heading east to Udon Thani. There are also air and bus options that tourists can take to get to the province with the local airport playing to host to more than 20 flights per day depending on the time of the year. The primary income-earning activity in he region is tourism. Udon Thailand is home to a long list of tourist attractions from temples to natural scenery. Because of its location, you won’t be needing your wetsuits for this travel but you can be confident that everything else here is “Wow Gold!” To better understand what Udon Thailand can offer, here is a listing of tourist attractions to get your head into travel insurance and travel planning mode. Religious Sites. Thailand is a melting pot of various religions but it predominantly considers Buddhism as one of the more dominant schools of belief. As such, there is a never-ending stretch of religious sites that one can visit when in Udon Thailand. In addition, there are also Chinese spirit shrines as a tribute to the Chinese influences that the country has embraced since the 18th century. Examples: Wat Phothisomphon, Wat Mathimawat featuring a Buddha made from white stone, Chaoya Chinese Spirit Shrine, Wat Pa Ban Kho, Kam Chanot. Political and Cultural Tributes. The political and cultural identity of Udon Thani is well-celebrated with various museums and historical parks containing relics from the yesteryears of the province. Visitors are treated to an intellectual tour of one of Thailand’s more remote provinces which helps paint a much clearer picture of the dynamics between urban and rural Thailand settings. Examples: Udon Thani Museum, Phu Phra Bat Historical Park, Ban Chiang National Museum. Local Festivals. The local festivals in Udon Thani are meant to celebrate local lifestyle in order to promote it and honour it at the same time. Examples: Phra Phutthabat Bua Bok Worship Festival, Thung Si Mueang Udon Thani Cloth Fair. National Parks and Other Natural Attractions. If you are looking for treks in the wilderness, elephant rides and elephant baths and even eco-tourism friendly resorts that are neatly tucked in the jungle, then this is the place to go. These are no Jamestown NY Homes but rather bamboo-made, quaint huts with a real organic feel. If Villas in Spain where the luxury accommodations in that part of the world, then these huts are what makes Thailand tourism truly special. There are a variety of forest parks and attractions that highlight the beauty and draw of Thai natural outdoors. You might need your Mexican blankets for this one because it can be a real outdoor treat. Examples: Huai Luang Reservoir, Udorn Sunshine Orchid Farm, Nam Som National Park, Namtok Than Ngam Forest Park, Phu Foi Lom, Wang Sam Mo Forest Park. Udon Thailand also produces a variety of local products that might interest many tourists for their collection or even for use at home. Hand-crafted products include a variety of cloth types such as knitted or silk varieties, special Thailand pottery, and various food products like Maphrao Kaeo or coconut sweet, Kun Chiang which is a variety of Chinese sausage, Mu Yo or steamed pork bar, Naem or sour pork, and Mu Yong or pork floss. Before heading to your exotic Udon Thailand getaway, make sure to do proper research so you are well taken-cared of when you get there. A number of the best web hosting companies have links to many Thailand travel agencies and you can easily gain access to a virtual office full of recommendations for the best travel arrangements, resorts, tour activities, restaurants and suitable locations from where you can buy your souvenirs. Perhaps its time to let go for a while and just relax and recharge after a tough year at work; forget the car insurance worries and put-off those San Diego flooring renovations plans and treat yourself to an exotic getaway in a country with so much cultural and natural attractions to offer. Year after year, Thailand shows a dramatic increase in the number of foreign visitors including 15 million in 2010 alone. It has also received numerous recognitions from many travel organizations. For example, Lonely Planet ranked it as the second “Best-Value Destinations for 2010” and the country has well-established tourist infrastructures across the country so tourists feel at home wherever they may be. Pack those travel bags and get ready for a Thai escapade you will never forget. And in your visit, swing by Udon Thailand for a refreshing and reinvigorating communion with nature and the environment. It will be a vacation that you will never forget. The country of Thailand has been a common destination of many Westerners most notably Americans mainly because of its unique blend of natural beauty, religion and culture. However, just like you would in any other trip, it is important to adequately plan for your trip to Thailand so you do not get caught up in issues that can turn your holiday into a more than just a slight inconvenience. We’ve put together these tips for US citizens traveling to Thailand so you do not expect to find architecture schools instead of Buddhist temples. A bit of realism, practicality and wide-eyed wonder will do your more good than being caught completely unaware and dumbfounded in a country as colorful, majestic, awe-inspiring and inviting as a refreshing Keratin hair treatment regimen. One of the things that set Thailand apart from other countries in Southeast Asia is its religion. Thailand is primarily Buddhist with some 95% of Thais adhering to this belief system. The religion has in turn spawned countless Buddhist temples that dot the countryside. They range in complexity and beauty from the world-known Buddha monuments to more subtle temples that resemble pagodas. Because you are most likely to find yourself in a temple in one of your tours, you have to be aware of certain customs and traditions such as the fact that women in shorts and sleeveless shirts will not be allowed to enter the Buddhist temples. Another is the ubiquity of the Thai “wai” which is that gesture where the press their palms together, touch the joint fingers to their chin and make a bow. This is a sign of respect and doubles as a greeting. Instead of acting surprised and quizzical and wondering about its meaning much like you would when you come across something very technical like a SharePoint Hosting, you can copy the same gesture and bow back as a sign of respect and homage to the local culture and tradition. There are many cultural guidelines that govern the use of the wai but as a fail-safe system, you should wai to anyone who has performed the wai towards you. As a final note of great importance on religion in Thailand, always show respect to anything that depicts the Buddhist. Thailand has very strict laws governing their observance of Buddhist tradition and any Helen Pastorino can find herself in jail for profane or disrespectful acts. The statues of Buddha are entre particulier sacred and do what you can to not say anything bad or do anything that is not consistent with Thai culture. As already mentioned, the last thing that you want is for your dream vacation to turn into a nightmare. That means not being ingrateful or rude by attempting to sarcastically offer Buddha your free microsoft points codes. That won’t win over anyone and frankly isn’t funny, regardless of what you saw on Youtube. Plenty of Thai cultural traditions can be traced to Buddhism but there are some that are eye-catching and definitely surprising for a Westerner. For example, Thai people put a great emphasis on their heads as this is considered the most noble body part. Conversely, they general consider feet as something of a lowly body part so much so that the feet and the head do not always mix. You cannot point your feet to someone as this is considered an insult; conversely, you cannot touch somebody’s head as this is as a sign of forced authority. Short of making free Microsoft point codes for you to follow, simply stick to the traditional norms of the wai and do not try to do anything that is out of the ordinary, and by that we mean ordinary on a Thai-level. Thailand has a generally friendly relationship with most countries including the United States so there are no major worries on that front. Still, you would need to prepare your passport when entering Thailand as it is a basic requirement when moving around. You will not need a visa for a visit to Thailand under 30 days. Thailand has a lot of rural areas but it has equally flourishing urban centers like Bangkok. Yes, you will find cable TV and a coffee machine in your hotel room in Thailand. There are also extensive industries dealing with internet growth and students learning how to make a website. However, once you move out of the city and into the countryside for some scenic tours, expect the setup to be slightly different. There will not be as many paved roads nor as many amenities. Porta-potties in the forest might be a luxury that you will never find and there are certainly no pre-set Christmas mini lights that will herald your arrival in a small village in Thailand. You will mostly see self sustaining communities that bank on eco-tourism for income. As such, you will need to be on the patient side when out on forest tours especially when it comes to basic Western necessities like indoor plumbing and a clean toilet. The American Travel agency has issued multiple travel advisories against some locations in Thailand owing to a certain degree of political unrest from the opposition. Whenever there are public demonstrations, do your best to get away from the commotion as it can get ugly pretty quickly. Likewise, stay away from border towns as this is a common setting for skirmishes between rebels and defectionist armed groups. If you want to be on the safe side, stay with the penny auctions and usual attractions and do not stoke your thirst for adrenaline by going off the beaten track. There is no worse place to experiment than in a country where the cultural is as alien as they come. These are basic tips that even traditional companies like Lekker Energie can adhere to. Suffice it to say that a little fun without that much risk should be your primary goal by being in Thailand. Savor the culture, bask in the beauty of nature, but keep to yourself and to your itinerary so it becomes a trip that you will remember for the good reasons and not for the bad. Thailand is one of the most popular tourist destinations. It certainly is one of the top choices in a traveler’s list or a general person who is looking to visit a great place. There are many things that make Thailand a very popular tourist destination and one of these is the food that you can get here. You can find a food of your choices 24 hours a day in many places of the country so it makes no difference when you get hungry you will find something delicious to eat always. You can go to one of the fine restaurants in downtown areas of the largest cities, use the cities CNA system, or order food directly to your hotel room. You can also eat at some of the fantastic fast food places, which are nothing like Western fast food. They use only fresh vegetables, meat and rice and you can get amazing meals. You should not have any problems in finding good food in Thailand unlike having a payday loan. In Thailand, Thai food is much better than what you will find anywhere else and there are restaurants all over the world. There is so much choice of food, which on arrival in Thailand you will not know where you can eat. Thai cuisine is very diverse, as there are a special form of northern Thailand, and the shape of the South. You should definitely try the Pad Thai, when you arrive in Thailand, you will definitely fall in love with that food like you may with prom dresses. Thailand is a place for everyone whether you are doing bachelors in criminal justice or doing masters in health administration or a web designer who makes ecommerce web design. Fresh ingredients are the key elements of Thai cuisine. Common ingredients include bamboo shoots, leafy vegetables, various kinds of meat, coconut, and of course lots of food very spicy spices. Thai food is very spicy with generous use both red and green chilies. Seafood is also very popular, and dishes such as Tom Yam Kung or spicy shrimp soup are very popular in Thailand. Different flavor lemon grass is a feature of many Thai products. The most popular Thai dishes include satay, a kind of grilled chicken, ground or Thai noodles , Kaeng Khiao Wang Kai Green Curry Chicken which, Kaeng Phet Pet Yang or delicious Roast Duck Curry and Yam Nua, lip-smacking spicy salad beef. You will discover your own favorites! Hotels in Bangkok generally offer breakfast for free for their guests unlike in other. Do take advantage of this and fill up before going out for a long day because there are not many things that you can get for free whether it is a ride on cruises from NYC or you buy car batteries UK or a futon. Thailand is home to enchantment, beauty and charm. When planning your next Thai Trip, you don’t want to miss these beautiful cities and what they have to offer. Ayutthaya is not too far from Bangkok and is a modern city that’s thriving. It’s like dreamweaver templates; they’re modern, exciting and fun. Ayutthaya is a world heritage site and offers some amazing sights including ruins and temples. Ayutthaya is like the diet solution program, a small amount can make such a difference. This heritage site will be a holiday you will never forget. Not visiting Bangkok when planning your next trip is out of the question. Bangkok is an experience you have to witness in this beautiful area. Bangkok is filled with sights, palaces and temples. The area is beautiful and charming and you can enjoy canal trips or shop until you drop. Bangkok is like a modded Xbox 360 controller, it offers so many features and does the same job you would get from the original. Bangkok is original with so many beautiful features; a trip to Thailand wouldn’t be complete without a trip to this bustling city. Chiang Mia is a shopper dream. Located on an ancient trade route, this city offers the highest mountains and the Ping River. There are so many sights including temples, palaces and museums. When visiting the area be sure to visit the elephants for a day of fun in the sun. Visiting Chiang Mia is like a Motorola mobile battery, it’s ongoing with shopping, sights and elephants that your holiday is a never-ending wonderland. Chiang Ria is located in northern Thailand and is home to magnificent mountains and the Kok River. Chiang Ria is for the outdoor enthusiast where you can go mountain biking and hiking, soak up the magnificent views and visit the national park. Chiang Ria offers so much at an affordable price, much like free cell phone for low income groups. It’s also like solar installers, efficient, affordable and convenient. Koh Samui is a city not to be missed. This magnificent city offers beautiful beaches, golfing, fishing, mountain climbing and kayaking. It’s also home to the most beautiful waterfalls which will have you gaping in awe. Property management York compares to Koh Samui with great offers, magnificent properties and affordable prices. Getting around Thailand is easy thanks to the extensive public transport network. It’s similar to when you want to buy HCG, it’s easy, available and affordable. Once you arrive in Thailand, getting around to all the cities you want to visit is completely hassle free, from rail to public bus you can find the transport that best suits your needs. The majority of hotels can assist you with your transport arrangements and sightseeing trips, like dog collars these hotels have control over their tour guides to ensure you have an enjoyable holiday. It’s like buying the best wrinkle cream, you want affordability, you want to ensure you get the best and you need to know it works. This is the same as the transport network in Thailand. One of the best things about a visit to Thailand is that there are plenty of things to see and do depending on your chosen location. Thailand offers a unique insight into many things Asian, particularly in the areas of eco-tourism, cultural and religious trips, or any simple getaway in a beach or a woodland retreat. Thailand’s unique blend of sights, sounds, and accommodations can easily allow you to eschew a visit with your San Diego therapist in exchange for a quite Thai getaway. In the succeeding paragraphs, we’ll talk about the best recommendations for Thai destinations that are affordable enough so you don’t have to put out your cars for sale. With so many things to do in Thailand, you are almost always guaranteed of a swell vacation that’s more than expected to recharge your batteries and get you fired up for another go at the things that keep you occupied. 1. Phuket. Any discussion about almost always begins with Phuket. This getaway offers the perfect blend of romance, grandeur, and quietness that you can just as easily bring your wedding photographer York for a few choice pictures that you can forever keep as souvenirs, a stirring and pleasant reminder of your good time here. Phuket is primarily known for its beaches but it also offers a good slice of idyllic island life, not to mention a thriving shopping and nightlife scene that rivals the thrill of the Mediterranean favored party destinations. We suggest that you read up on HCG diet reviews months prior and start prepping yourself for what promises to be a perpetual getaway in sun, sand, and surf. 2. Bangkok. This is the capital city of Thailand and home to all sorts of attractions, from the political, cultural and economic pull of Thailand complete with delicate and grand architectural designs down to a wide selection of culinary options. If you are seriously thinking of “ como reconquistar a pessoa amada”, it wouldn’t hurt to go on a two-step tango of Phuket and Bangkok in one go. 3. Koh Samui. If you want to get away from the fast lifestyle of Phuket but would still want to enjoy some of the best beaches in the world, you might want to head off to Koh Samui. This equally glorious island paradise does not feature the multiple beach establishments that sell boats but it more than makes up for it with the quiet and relaxing environment that is characteristics of island life in the Pacific. 4. Chang Mai. Perhaps the best known destination, after Bangkok, when it comes to cultural attractions, Chang Mai has a wide selection of Buddhist temples and museums. The sheer number alone makes it almost impossible to put them in a list so you can be assured that you are in for a holy, almost pilgrimage-like, excursion into the heart of Thai religion. So forget thoughts of where to buy laptops for the cheap or contemplating a minibus hire to take you through a variety of destinations. Instead, get set on spending some time for self introspection by soaking in the divine wisdom on the very same roads that Buddha walked on. 5. Ayutthaya. With the advancement of modern Thai culture, Ayutthaya has become an afterthought with Bangkok taking over the reigns of driving Thailand forward. Still, if this were a few decades, Ayutthaya would be Thailand’s center of all things political and economic. Today, it has become a complement of sorts – the St. Petersburg to Russia’s Moscow. You won’t need a extensive Προώθηση Ιστοσελίδων (SEO) knowledge to get around this more peaceful destination but you can be assured that the trip would be just as worthwhile. Thailand offers a wide range of destinations that will keep you guessing but will likewise remind you to enjoy and take in the various aspects of the culture that makes Thailand unique. From its beaches to its food offers, be prepared to get a sensory overload of pleasant surprises. So read about Thailand and start planning a trip now, but make sure to include an appointment with your San Pedro dentist when you get back because all that eating and all those other treats will surely need extra attention. However, isn’t that attention that you’d more than be glad to have? When planning a trip to Thailand, it is important to be aware of the prevailing season so you do not get unnecessarily caught up in all the hoopla of monsoon rains resulting to flooding and ruining all your vacation plans. Such is the case with Thailand, and many other Southeast Asian countries for that matter, that a keen awareness of the timing of the monsoon season can make all the difference between a memorable and a forgettable trip. Surely, you do not need a masters public administration or Business Management degrees to get that sorted out. In Thailand, the arrival of the monsoon season is dependent on your exact location in the country. In the Northern provinces, the monsoon season is shorter lasting only from June to October. In the south where provinces are nearer to the equator, the monsoon rains come as early as May and last up to November. The importance of these dates cannot be overstated. In 2011, Bangkok was devastated by a month-long flood that stranded many tourists and left the city crippled for an extended period. Apart from the PPI claims and medical aid that you might be needing, should you find yourself in such a conditions, it doesn’t take completion of a Masters in Nursing Programs or a degree in accredited online MBA programs to tell that the inconvenience is the least of your worries. Another important thing to learn about the Thailand monsoon season is the amount of rainfall that you should expect during that period. Bangkok’s rainfall can peak at a voluminous 320mm in September and is second only to Phuket which peaks at 420mm on the same month. You can fly in at around July or August and spend more time in Pattaya. At this time, the rainfall in the region is a tolerable 90mm. You can also visit the neighboring locations of Ko Samui as well as Bangkok right before the rain peaks in September. Bangkok’s rainfall forecast at 180mm in August is actually one of the milder conditions that the city will experience over the next few months. When the rains come for Bangkok and Phuket, Ko Samui and Chiang Mai become the more ideal destinations. The volume of rain here is lesser and the conditions are considerably more melaleuca than anything else. As an alternative, it is actually more advisable to come to Thailand from December to February if you are hell-bent on escaping the rain. It almost always never rains in Bangkok in December while Phuket receivers roughly 70mm of rain during the same time. You do not need a Masters of Education or as Masters in Criminal Justice or any masters degree for that matter to tell you that this is the best time to be in Thailand. In between considering for your eMBA, think about a December to February break in the beautiful country of Thailand. There is so much culture and nature to see here. The beaches are marvelous and the people are warm. And between shopping in the river markets or enjoying everything Thailand has to offer, you know that you are getting your money’s worth of rest and relaxation in one of the most amazing countries in the world. There are many reasons why people want to visit a particular place. It might be for a purpose of learning the culture and heritage of that place, see its great attraction and spots, take advantage of the job opportunities there or simply to have an experience with its people. Thailand, among other countries in the East has become a very popular place to visit. Many have browsed the internet; have click this link leading to great information about the country that has added to their interest in including the country to their list of destination. Some have already booked a flight into the country taking well consideration the best time to visit it. Thailand, just like any other Southeast Asian country is a sunny and warm place. Ideally, for those who would like to go there, November to February is the best time since during these months there is little rainfall and there is less humidity. It is a good time to take a tour into some of the beautiful spots that the country has been taking pride of. People can even enjoy driving around with a sporty car from Hyundai Scottsdale and stop-by to participate in the lively activities of the different localities. Visiting the country during cool season accordingly is helpful for those who want to escape from their demanding and exhausting jobs. Places where one can relax his body and get rid of stress and fatigue abounds there. There are also great places to check out for those who would like to avail of a more intense procedure for the body like that of medical detox. Evidently, the country has offered an avenue for health conscious people to take into account in deciding to go there. With the increasing number of people coming to the country, not all of them have come to merely unwind. Some of them have come to take the opportunity of a career research in the country and explore the possibility of starting a profession or career there. Thailand has actually posed great opportunities to many people to have a decent living in many of its locale. In fact, people who have decided to stay in the country have had remodeling estimates for their new homes and find their way around blending well with the lifestyle of the country as well as with the ways of living of the people there. Truly, it is not difficult to get a good life in the country. So, for those who are planning to visit an excellent place one of these days, stop the click here options in the net, check if it is the best time to go to Thailand. Break the monotony of your day-to-day life and get a wonderful experience with an amazing place with an amazing people and culture. We are fond of watching cultural dances and watching feature presentations about different races because most of the time, the beauty we see on TV makes us think, what type of skin care products do they use? But sometimes, it is their way of living or culture that fascinates us more. Culture is an environment where members share common beliefs, ideologies, tradition, assumptions, rules, regulations, custom, attitudes and even myths. All of these things make a community that through the years has learned to survived and live their day-to-day lives. As a country located in Asia, Thailand’s culture is one that has flourished into a very rich civilization. Astonishingly, despite its obvious beauty very few people notice it. Maybe the reason for this is that it is not popular to some tourists and the time they spend in this place is just too short that they miss a lot of things about it. One of the most important things to learn about Thai culture is the practice of happiness. They say laughing is the best medicine. Thai Landers are known to be a bunch of happy people who greet visitors with a smile and commendable hospitality. One can no longer be happy If he is dead so might as well enjoy every minute of his life. In times of stress, why not visit Thailand and feel the warmth of the people’s welcome greetings or maybe try to relax with the famous Thai massage with the use of the best coconut oil. A lot of Westerners do not understand this kind of attitude because they suspect that Thailanders fake it because they think in realty, nobody can be happy all the time. But, we all know how genuine happiness looks like. We can see through the eyes of people if their smile is really heartfelt or he is just playing nice. One experiment to test it is to look at a mirror and start thinking happy thoughts, is it really impossible to look happy? Also try playing outside with a pet Labrador retriever, how does it feel? Happiness comes from within and if we think about happy positive things, it would naturally show in our faces. Just imagine growing up in a place where every member of the family smiles brightly. Just imagine a tradition of happiness being carried out for a thousand years. Who would not be happy in Thailand? Maybe this is the reason for the popularization of dental marketing in this country. Of course, the key to a beautiful smile is a complete and clean set of teeth. Being happy does not mean not having problems. Like most of us, Thai Landers has experienced their own share of hardships, challenges, disappointments, humiliations and hurt but, they just manage to endure all of those without frowning. There are also money problems like paying utility bills on time, sending money to their children for tuition fees or maybe paying the insurance quotes, that irritates most of us but, even these problems do not make Thais sad. Despite all the drama, life for Thais is just simple. Thailand has a bright future ahead of it. Though a lot of its residents live in slums, in a nipa hut and works as a pressure washing helper just to make a living for the family, one would never fail to notice that there is no kind of hardship in life that could make Thailanders stop from showing off their beautiful smile. Thailand has been a popular tourist destination for many years. For many people a holiday to Thailand means a big shopping experience. You can pick up some fantastic bargains there and even with paying import duty when you get to the customs gate when you get home, you will not be able to pick these things up cheaper anywhere else. But when traveling to Thailand you can expect to be amazed by this countries natural beauty. Long stretches of sandy beaches, crystal blue waters and a choice of mountains to explore. This is a country perfect for anyone who enjoys the outdoors as you wander along the beach in the evening watching the sunset or you go hiking up the mountains only to find the most beautiful panoramic views. Smaller islands can be found here and you can swim out to them and have a new experience to explore, there is just so much to do and see, who knows you may find some loose diamonds. Thailand is also very popular for its beach resorts, resorts where you can lie on the beach and soak up the sun and then head to the pool for a swim before heading to your room for some relax time before the night falls and the beach parties begin. This is a completely different way of life for many of us, it’s such a relaxing and peaceful part of the world where you can really let your hair down and let all the stress of the past year melt away. Besides the beauty of Thailand, it’s an affordable vacation option for so many people. Everything is cheaper in Thailand from the air tickets to accommodation and as mentioned before, the shopping opportunities are guaranteed to have anyone delighted when in the mood for some retail therapy. This is not an area where you do your shopping online or search the internet for a law example or project source. This is an area where you leave the hotel and go out, explore and come back with your arms filled with great souvenirs to take back home with you. When in Thailand you should take the time to visit some of the spectacular temples. These Buddhist temples are architectural masterpieces that will have you in awe and then there are the quaint fishing villages where you can take a leisurely walk and watch as the locals go about their business and catch fish for their meal tonight. Don’t be surprised if they try and sell some of their catch on to you, but remember you probably have a fantastic meal waiting for you back at the hotel. 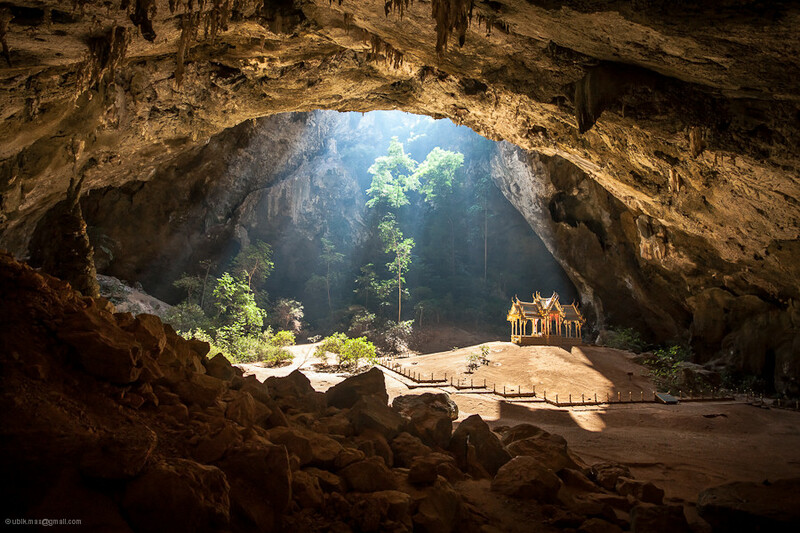 The jagged cliffs of Thailand offer adventure seekers the opportunity to go mountain biking or hiking, reaching the highest peaks and then just gazing at the picturesque views. You can learn more about this beautiful area online, do a search the same as you would for Dentist in Everett or community resource. A trip to Thailand will always be remembered with fond memories. Thailand is a fascinating country located in the centre of the Indochina Peninsula in Southeast Asia. It is a place where one can keep exploring the cities, the small villages, the amazing natural scenery and the world-famous historical monuments without showing signs of boredom too soon. Speaking of Thai monuments, the country possesses quite a few of those. Here are some of the most notable. The Democracy Monument is part of Bankok’s heritage and it is a public monument located in the centre of the country’s capital. Interested tourists can watch it in all of its glory on the east-west Ratchadamnoen Klang Road, at an easy-accessible intersection of Dinso Road. It was commissioned in 1939 to commemorate the Siamese Revolution which resulted in the formation of the constitutional monarchy – the Kingdom of Siam. Military ruler Phibun envisioned the Democracy Monument as the centre of new Bankok. Visitors can get service reception in this particular area hassle-free, as the monument is located in the middle of an important traffic circle in the city. Also, filming or photographing the monument that was designed by Mew Aphaiwong should not be an issue. Another spectacular monument that the Thai people is extremely proud of it the Great Buddha of Thailand, also referred to as The Big Buddha or Maha Nawamin. This is the tallest statue in the country and it also ranks ninth in a top ten of the tallest monuments in the world. It is located in the Wat Muang Monetary in Ang Thong province. It counts a height of 300 feet and a width of 210 feet. Its construction lasted for 18 years and was completed in 2008. The statue is covered in gold and it is made of simple cement. Pulling out a south beach smoke electronic cigarette from one’s pocket and smoking it around the statue might not be exactly regarded as a positive approach to visiting this monument. On the other hand, ordering some flowers victoria bc located and placing them at the feet of the statue might sound more natural. Wongwian Yai is yet another roundabout monument located in Thon Buri, where the Statue of King Taksin is to be found. There are certainly a lot of affitti apartments here tourists can rent and get to admire the entire historical area, as well as the Wongwian Yai monument itself. Despite the grandeur, beauty, and hospitality that Thailand is known for, one of the best reasons why tourists continue to flock to this exotic country in Southeast Asia is because of its extensive array of cultural festivals. Thailand is predominantly a Buddhist nation and many of its cultural displays are influenced by this belief but Thailand has plenty of other things to offer to tourists and pilgrims of all shapes, sizes, and callings. From the working capital in Bangkok to the picturesque beach destinations in Phuket,Thailand has plenty to offer for those that are interested to know more about what Thailand’s culture can offer. Flower Festival Chiang Mai. Thailand is home to an extensive variety of flowers which begin to bloom in February. These flowers have a special place in various religions, and as such commands a festival all to itself. The Flower Festival in Chiang Mai is one such celebration, and it is certainly a wonderful excuse to check out Thailand’s thriving handicraft culture and its well known array of beauty pageants which also happen in and around this 3-day festival. You can learn more about the Flower Festival in Chiang Mai by reading about it, or scheduling a visit to Chiang Mai during the 3rd week of February. Songkran Festival. Thailand’s Buddhist culture celebrates the turn of the New Year in April and the Songkran Festival is a concerted, nationwide, effort to make this into a full cultural display of Thai beauty and religious belief. If you want to enjoy Thailandat a time when everyone else is on a merrymaking high, you can continue reading about the Songkran Festival, or better yet plan a trip during the 2nd week of April. Phi Ta Khon Festival. This is one of the most important festivals in the Buddhist calendar. It has its origins in an old Buddhist tale celebrating the Buddha’s last reincarnation prior to enlightenment. It consists of a colorful array of parades, with men dressed as spirits to celebrate the various incarnations of the Buddha’s life. You can visit site at Loei where the it is celebrated by planning a trip toThailand in June. Candle Festival. You’ve probably seen pictures of lanterns being flown at night; these pictures are of the candle festival celebrated in July. Of all the cultural festivals in Thailand, this one is certainly worth a pikalaina just so can enjoyThailand at its most solemn moment. Don’t pass up on the opportunity to enjoy one of the hallmarks of the Buddhist faith by joining the candle festival celebrations during this time of year. Thailand is a great destination for its picturesque beaches but its colorful cultural festivals are certainly worth the trip too. If you are planning to schedule a trip to Thailand any day soon, make sure to do it during one of Thailand’s many festivals so you can fully appreciate the country for its beliefs and appeal. Truly, it is a sight you are bound to remember for the rest of your life. Whenever I think of Thailand, I can only imagine the sight of beaches and green paddy fields as shown in movies. Though, Thailand is more popular as a tourist destination, it is also the second largest economy and one of the biggest exporters of South East Asia. As exports form the major part of its GDP, Thailand has established trade relations with many developed and developing nations of the world. Its most significant trade partners are United States of America, China, Japan, Hong Kong, Singapore, Indonesia and Malaysia. Thailand’s exports fall in a number of categories; major of which are agricultural products, textiles, gems and minerals, electronics, automobiles and wooden articles. Agriculture and fishery are the main occupations of Thailand. Thailand is the world’s leading exporter in rice. It is also the biggest exporter of shrimp in the international market. In addition to the agricultural products, Thailand also leads as a supplier and research and development center for rubber and its products. Whether it is the cushion on pool tables, gloves or vehicle tires, you can find an imprint of Thai rubber technology everywhere. Thailand has a strong manufacturing sector and competes with many of the ASEAN countries in the areas of textiles, electronics and automobile manufacturing. Thailand enjoys a special relationship with Japan that has helped it maintain growing exports in the automobile and textile sectors. Thailand has a free trade agreement with Japan and provides for high quality textile to design carpets, curtains, foto canvas etc. for its interior decoration industry. In addition, Thailand is considered a hub of the electronic circuits, computer accessories like hard disk drives, circuit boards etc. It shouldn’t surprise you if someone tells that the PC or Mac you are using to play temple run online has been assembled from the parts made in some distant factory of Thailand. Thailand’s craftsmanship is also world renowned. It is widely in demand for its gems and jewelry, silk clothing, ceramics and wooden furniture. Thailand has a history in crafting and designing jewelry and ceramics. It is this rarity that makes Thai products famous with collectors. In spite of the fact that Thai people do not usually have as furnished houses as the serviced apartments London and other western cities have, they are known for their artistic, simple and green wooden furniture which, is highly sought in European markets. The export market of Thailand saw a decline in 2012 but has been forecasted to regain its growth in the coming year. Thailand’s natural resources, manufacturing prowess and craftsmanship have the ability to make Thailand the export capital of not only South Asia but of the entire world. Despite Thailand’s economic success some people still worry about their health and safety while visiting Thailand. One of my friends, an accident lawyer by profession, even said that you might get locked up for years if not careful in Thailand. Surely, Thailand has strict laws for the safety of its citizens and visitors but most of such concerns are unwarranted and spread by some unwary travelers. Thailand is bound to become a major economic success and only trend one needs to look for is its development. If you are visiting Thailand any time soon, perhaps the most important thing you ought to never forget is to try a serving or two of the world-famous Thai sea foods cuisine. For sure, one of the reasons why you decided to visit Thailand was because of its famed beaches and resorts such as those in Phuket, Thailand but with beaches also come the sea. By extension, the sea begets marvelous and sumptuous seafood delicacies that demand nothing short of your attention and palate. Now, there are a myriad of ways to try and satisfy your get it now urge for Thai seafood. The easiest, and perhaps the safest, is to head to the big restaurants in Thailand such as those in metropolitan Bangkok where the all sorts of seafood dishes are being served. You will find grilled, fried, stewed, or baked fish fresh from the sea surrounding Thailand. Curry is also a mainstay and it is often cooked with all types of seafood delicacies, from mussels to crab legs. As far as seafood dining does, you will be well served with the big and well-known restaurants across Thailand’s cities. The adventurer in you, of course, may crave for something that is off the beaten track. In fact, many tourists would say they had the most unforgettable meals in Thailand by staying off of the big restaurants and instead spending more time in places that the locals frequent. Why visit site of the well-known restaurants when you can get more fulfilling meals at more affordable prices in places that are popular to the local crowd? For this, you have to find spots along the beach which are never out of customers. These types of places get their ingredients fresh out of the sea, straight from the hands of fishermen and not from the markets where the price has already considerably jumped. This direct purchase of goods straight from the source means that the food can be great but still cheap. There is no need for a professional institute of culinary joy when the small restaurants are more than sufficient. In these restaurants, look for the best Thai seafood recipes. Pat Pak Ruam, for example, is a simple stir-fried fish and vegetable recipe but you can also find grander dishes like Gai Pat Med Muang which is a stir-fry of fish with cashew nuts and spices. Noodles are also particularly famous as can be expected, much like payday UK a week before the payday arrives, owing to its versatility, simplicity, and affordability. You will find clever dishes where the noodles are wrapped around the shrimp giving it an elegant, exotic, and fresh look. Other typical noddle dishes include Pat Thai (a simple stir fry of noodles, tofu, quail eggs, fish and bean sprouts with a peanut oil and lemon juice flavoring), Pat Sii-Yew (with Chinese kale) and Pat Kii Mao named because it is also called drunken noodles due to the spicy flavoring. Detailing all the Thai seafood recipes is a tall and challenging order so instead of just reading about them, head down to Thailand – or to any Thai restaurant in your locale – to get a taste of what Thailand has to offer. It’s a gastronomic feast of astronomical proportions, something you are not likely to forget for the rest of your life. Counting several hundred gorgeous tropical islands and some of the finest beaches in the world, Thailand can take great pride in its natural scenery. Millions of visitors choose Thailand as their main location for the summer and most of them come back the following years, thanks to the extraordinary beach resorts they have discovered here. If you are interested to check it out on your own and you are wondering if you should visit that place or not, get advantage by getting the information you need. First of all, know that Thailand is a country that is hosting many hotels in all price ranges. This means you should be able to come across a decent hotel and not be forced to spend a small fortune on accommodation, but also get to enjoy some luxurious accommodation conditions at a proper price. However, keep in mind that the best time to visit Thailand from a financial standpoint is during the monsoon season, the time of the year considered to be the low season Thailand. The Bo Phut Resort & Spa is a magnificent Thai beach resort that beautifully combines exotic scenery with a peaceful setting. Locate dup in the north of Koh Samui right in the Gulf of Thailand and counting more than 30 villas and close to 30 deluxe rooms, this modern resort is an excellent place where you could be trying your natural hair products without a care in the world. Le Méridien Khao Lak Beach has more than ten kilometers of pristine beach and the resort itself counts three swimming pools, along with a spa center that has been officially rewarded for its amazing perks, along with six different restaurants where creativity is the keyword. If you are currently attending some schools for nurse practitiones specialists and you are afraid you will get easily bored here, the modern sports facilities here should convince you of the opposite. The Mai Samui Beach Resort is yet another Thai pearl in terms of spectacular beach resorts. It counts close to 100 rooms and you could be opting for a decadent Mai Pool Villa or an exceptional deluxe room. Enjoy a wide range of top of the class treatments, facials and purification treatments include, and let the ancient Thai massage specialists feel like you have reached the seventh heaven. The breathtaking Koyao Island Resort is located near Phuket and it has tons of secluded beaches all around, along with gorgeous islands where there are no inhabitants. The hotel has more than 20 luxurious villas and all of them have been specially designed in the traditional Thai style of architecture. Each of these villas features its private garden and has a view to the beach. Beaches, white sand, perfect water and weather conditions that complement outdoor activities perfectly, when I think of all these things the first thing that comes to my mind is Thailand. By its very name, it means the land of the free. It surely is the land of the free because you will find hundreds of tourists on vacation in this magnificent country roaming about freely. They come to this beautiful land to get away from their hectic routines, depressing lives and to enjoy the taste of freedom that life no longer can offer them in their normal routines back at home. Thailand, therefore, perfectly complements its own name. let’s take a look into the magical journey that is in store for you if you plan on taking a trip to Thailand and the wonders that you are missing out on if you haven’t yet planned a trip! When you hear the sound of the waves against the white sand under a perfectly blue sky, you will forget all pains, including that of a bulging disc, if you have one! Yes, such is the power of the calmness that this country has to offer to anyone who visits it. You can simply close your eyes on one of the beaches and drift into a world where there are no worries or responsibilities; you will be able to enjoy perfect freedom unlike something that you have ever experienced before. The trip will refresh your soul and you will definitely see a very positive difference once you go back to your country. You will notice that you are happier and much more actively involved in socializing once you get back from this trip. Thailand is also very well known for the amazingly relaxing massages that you can get from a number of massage parlors there. These massages will leave you completely relaxed beyond your expectations and are a must for anyone who visits this country. The price ranges for these massages vary so it is convenient for you to indulge in something that your budget allows. After all, the main purpose is to rid you of stress! However, you need to be aware of the fact that tourists can easily get ripped off and you may end up paying twice than the actual amount in one of these massage parlors. Beware of such cunning people at the parlors and try taking a local friend with you if possible so that you get the best value for your money.